As Grand Islanders, we have an extensive backyard. 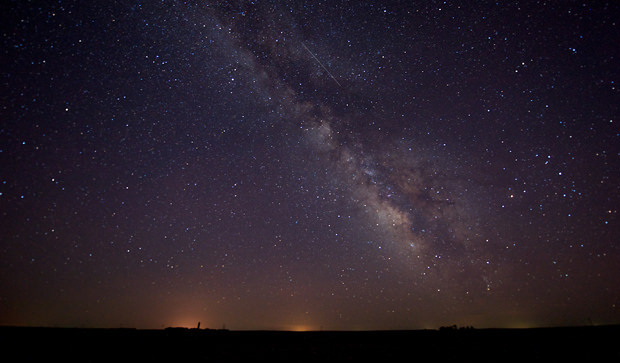 The prairie we love stretches north and west along the Sandhills Journey Scenic Byway and Loup Rivers Scenic Byway into the ecological gem known as the Sandhills — with some of the best stargazing around. 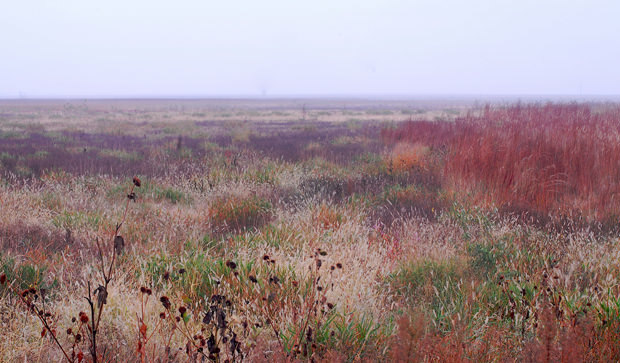 Grasslands may not evoke feelings of the sublime like mountains or oceans, but they are equally as beautiful if you take the time to appreciate them. Gather up the family and wade into the cool water of the Platte River on a warm summer day. 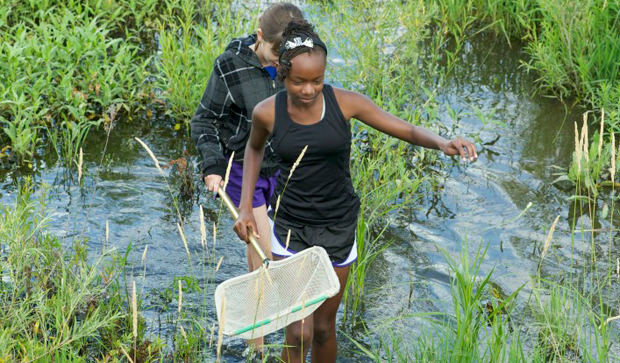 Explore the wetlands in the river valley and beyond in to the Sandhills. 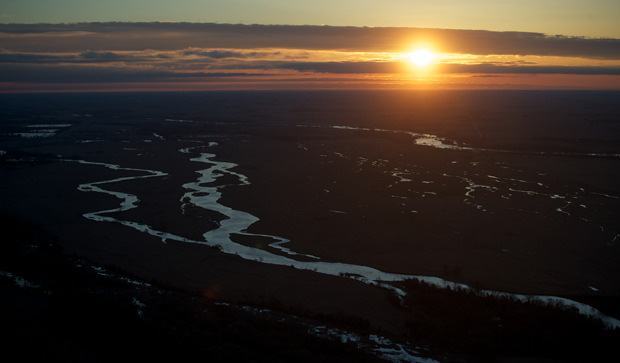 The Platte River is a defining feature of Grand Island's backyard. This braided river plays host to the Spring Migration of the Sandhill Cranes every Spring. The prairie is a great place to get away at your own pace. 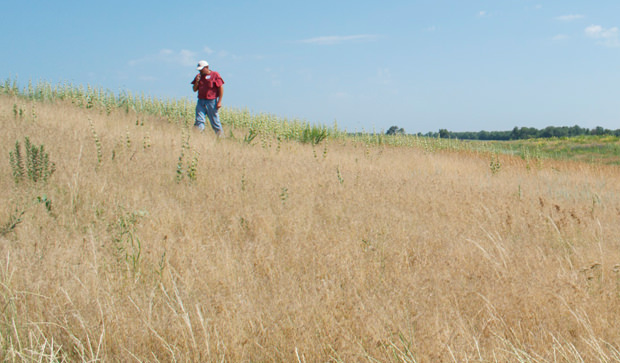 Walk through the wavy grasses during any season of the year if you're feeling stressed, creative, or adventurous. How Big is our Backyard? As the gateway to the Sandhills, our city claims miles of beautiful prairie, river valleys, and reservoirs as a part of our play area. Two byways lead out of Grand Island and into the quiet of this unique ecological important grassland. Bird watching and stargazing, hiking and camping, hunting and fishing, boating and road races await visitors under big blue Sandhill skies. Grand Island's backyard goes north and west for hundreds of miles. Closer to home, the Platte River offers similar experiences. During the early spring, hundreds of thousands of Sandhill Cranes roost on the river during their migration. Along with them, millions of ducks and geese cover area lakes. Canoeing, floating, or simply wading down this shallow, braided river are also popular activities. Explore Grand Island's many recreational opportunities on the water and on the trails. 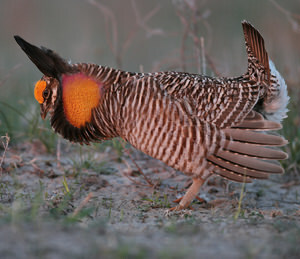 The pitter-patter of little bird feet turn into a small thunder on the prairie during the mating dance of the Prairie Chicken. Grand Island has been called the best spot for birdwatching in the country. This is particularly true in the Spring during the migration of the Sandhill Cranes.